The Vertini RF 1.1 is the lightest and strongest wheel in our current lineup. 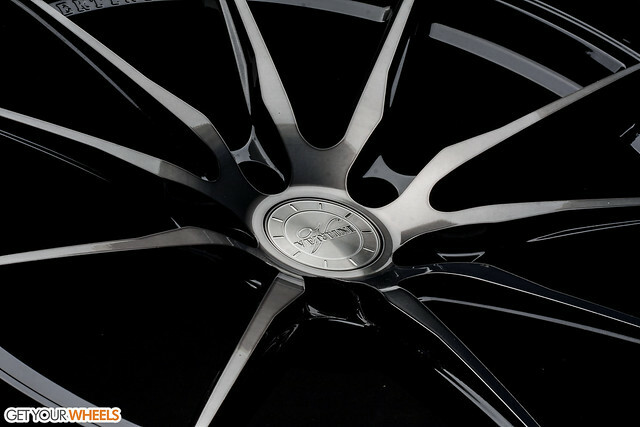 These 10 spoke black rims are manufactured using the newest and latest German manufacturing process that utilizes pressurized rollers to stretch the wheel to the desired specifications. By doing this we can achieve a lightweight multi-spoke wheel with pleasing aesthetics and aggressive fitments for European, Asian, and American made vehicles. The RF1.1 will be available in the brush silver face, the new brush titanium, and as well can custom made colors to our customers specifications.